Musician's Friend has announced an amazing deal on the Martin 00-28 Grand Concert acoustic for Black Friday. 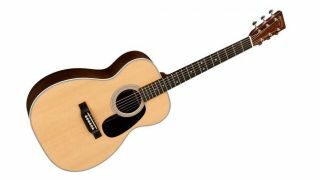 The comfortable acoustic's price has been cut by a whopping $859, bringing its overall cost down to $1,999 from $2,859. The guitar's Grand Concert shape is designed to provide a balanced sound, and features top-quality tonewoods throughout, including a Sitka spruce top, East Indian rosewood back and sides and ebony fingerboard.